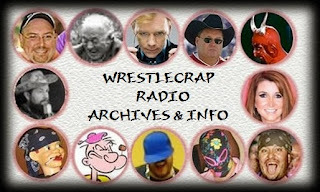 In this Minisode Flashback from Wrestlecrap Radio episode #24; we celebrate the 10 year Anniversary of Wrestlecrap Radio's very first April Fool's special from 2006. 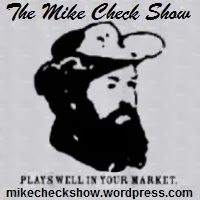 ...And speaking of anniversaries (and April Fool's), head over to "The Mike Czech Show" where the real Mick Foley will host a very special "THIS IS YOUR LIFE" for The Mike Chalk Show's 50th anniversary (throughout the month of April). And his first special guest is none other than...Ric Flair! Whooo! 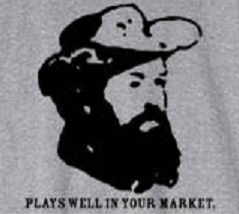 And be sure to visit here for the WCR Video archives and here for more WCR Minisodes! 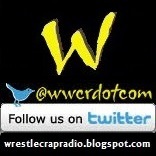 WCR Video (Twitter Edition): Shane-O-Trolla Fires Up...Again? The Shane-O-Trolla has once again fired up (during this week's WWE Monday Night RAW) and a fellow crapper on Twitter known as "L.M." has somehow captured the visual that RD Reynolds (possibly) viewed on the video screen of the Trolla device's opened up fist when Shane attacked, his Wrestlemania 32 opponent, The Undertaker. 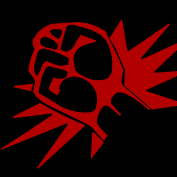 For those who don't know, the Shane-O-Trolla is a device shaped like 'a fist' that alerts Wrestlecrap HQ when Shane McMahon goes on a rampage by opening up and playing "Fighting My Way Back" by Thin Lizzy . It previously fired up the time he attacked Randy Orton on a 2009 episode of RAW and the time he vanquished the Megatrolla on Wrestlecrap Radio (episode #134). It was three years ago when Blade Braxton (on episodes 10 and 11 of The RD and Blade Show) mentioned his participation in the Tecmo Bowl tournament in Madison, WI. So here's a clip that Blade uploaded of himself The Midnight Rose and the Honky Tonk Mailman messing around in a bowling alley back in 2013.